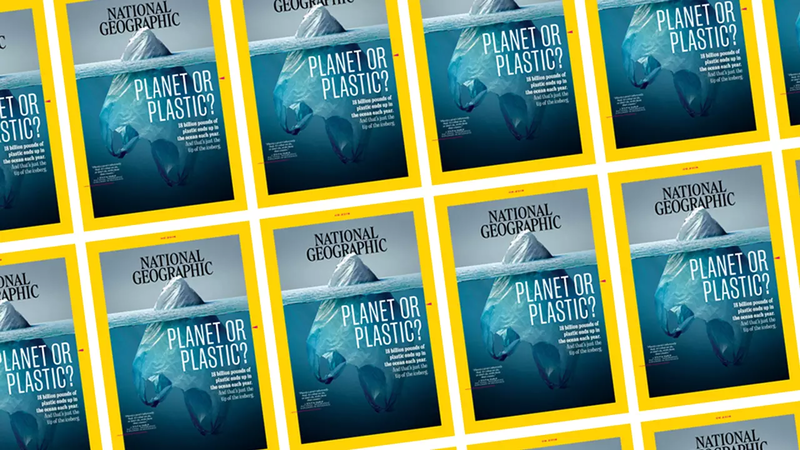 To communicate the size and severity that plastic waste is having on our planet, National Geographic dedicated its June cover to launch the “Planet or Plastic?” campaign. The cover serves as a warning that the 18 billion pounds of plastic that end up in the ocean each year are “just the tip of the iceberg.” The somber caption is dwarfed by the image of a plastic bag resembling an iceberg, floating in the ocean. The image has gone viral, sparking conversation and further spreading awareness to new audiences. But the effort is more than a splashy cover, the campaign is supported by a website where visitors can read more, take a pledge and participate in a Reddit AMA with a zero-waste blogger. In addition to leveraging its core competency of compelling storytelling, the publication has made internal changes.